Main presenter: Dan Dishaw Monday November 12 click on image to get directions. The say that what goes around comes around. ; our November presenter has come to know the circular nature of life. Dan Dishaw is a well-known name in the central New York region as a first rate luthier and guitar tech. For years and years, area musicians went to him for all their guitar needs. However, in the past few years he has been using his luthier skills in the Billiard industry. His company has been designing and building billiard cues that are considered as highly collectable pieces of art. The Smithsonian Museum recently has as recognized the modern day billiard cue as a new art form and asked a select few cue makers from the US to submit their work for a future display. Very cool to have your artwork at the Smithsonian. Dan’s son, Peter, recently graduated from Potsdam’s Crane School of Music, with a music business marketing degree, and expressed an interest in building guitars. So Dan is now pretty much back to where he came from. The Dishaws are building guitars for high-profile players such as Mark Kendall of Great White, Kyle Bolden with Stevie Wonder, Chet Catallo formerly of Spyro Gyra and six time Grammy nominee; local players such as Ben Mauro with Lionel Ritchie, Terry Mulhauser, Bill Hatch, in addition to other local players. Dan was the guitar tech at Gerber Music in Shopping-town Mall in Dewitt. There he became an Authorized Warranty Service Center for over 15 major manufactures such as; Gibson/Epiphone, Fender, Ibanez, Guild, Martin, Ovation, etc. In addition, he was responsible for the maintenance and setup for all the instruments for all three Gerber Music locations in CNY. Dan was invited to several manufacturing facilities for Service Seminars where he was taught the correct procedures to accomplish quality repairs and service on instruments such as Gibson Super400, Les Paul's, Fender Stratocasters, and Telecasters, and Gibson/Epiphone acoustics, etc. Dan is considered a Master Luthier with 40 years of experience and training in the repair, service and restoration of all types of string instruments. 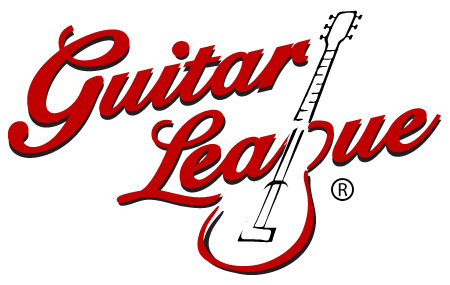 Dan is very excited to be back in the music scene here in CNY welcomes the opportunity to speak to Guitar League. He wants it to be clear that he is not a player as such and his primary objective would be to inform us about service, repairs and restorations to any type of string instrument and about building custom instruments.